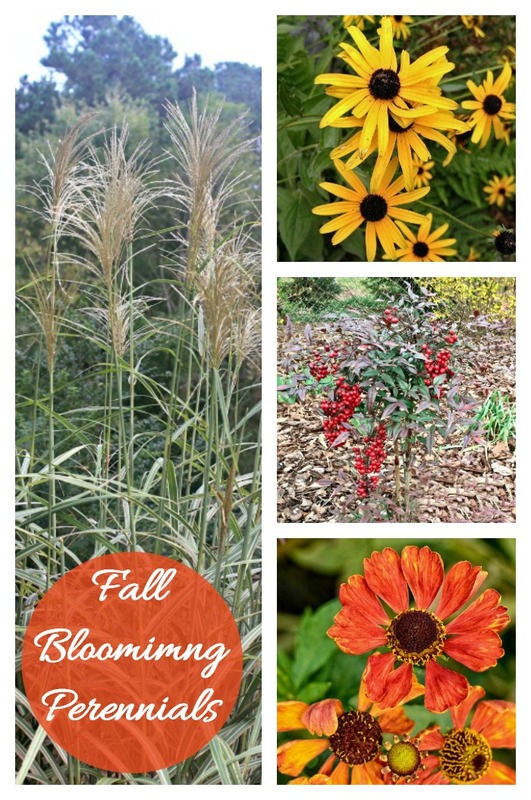 Are you wondering what to plant in the fall when the summer flowers have all but stopped their show of color? These fall blooming perennials and annuals will add that last touch of bold color in most gardening zones. These late bloomers will grow in most planting zones and will give new life to a garden long after the summer flowers have faded. One of the beauties of a fall garden is the moist soil that fall rains give to it and the colorful shades that nature provides as the leaves change. Fall is a time for putting the garden to bed and tending to those last few gardening chores before the winter hits. Luckily for me, here in North Carolina, in zone 7b, I still have weeks left to enjoy some last color before the cold weather takes over. 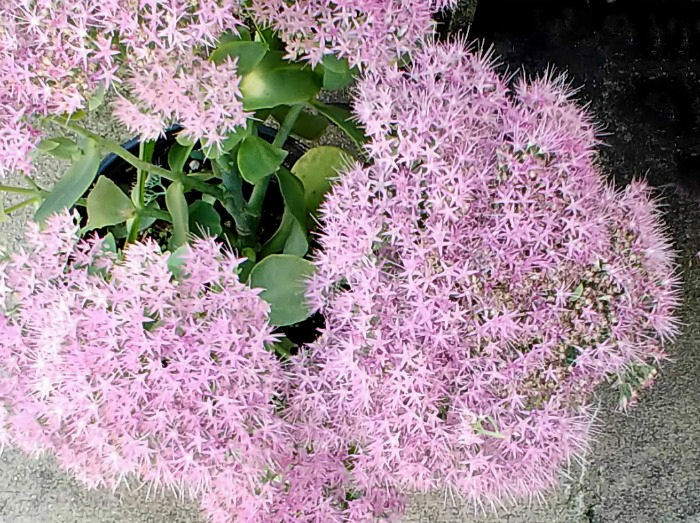 Even in colder zones, there are a few plants that will keep on blooming through September and beyond. 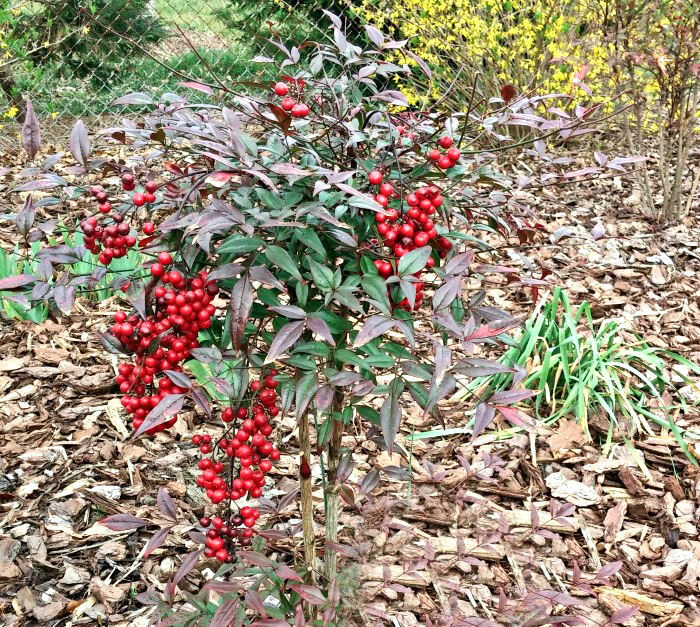 Native plants to your area will work the best when the cold weather hits. Why not plant a few of these in your garden or front entry this year? 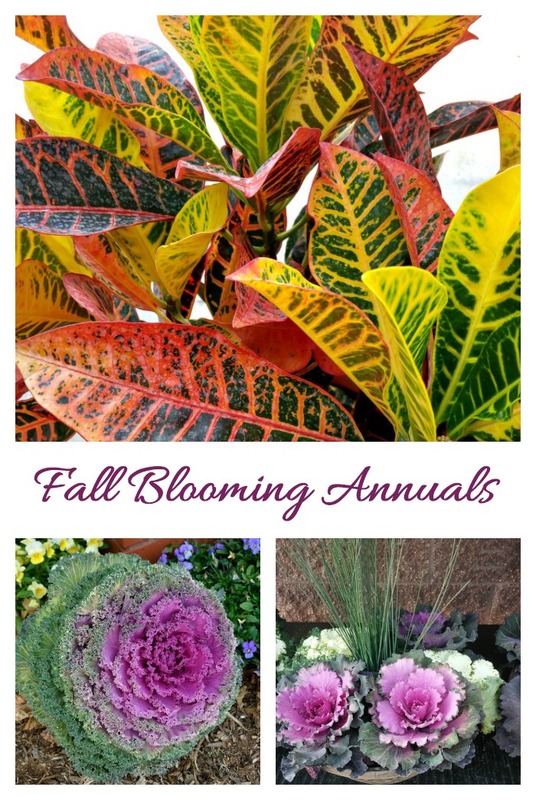 Fill your garden with these late blooming flowers that are perfect for fall flower arrangements and a splash of late-season color. 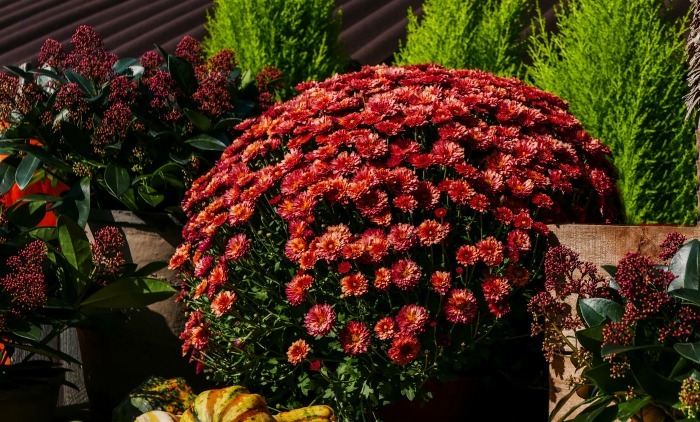 What would fall be without the bold autumn colors of Chrysanthemums? These plants really come into their own in autumn. 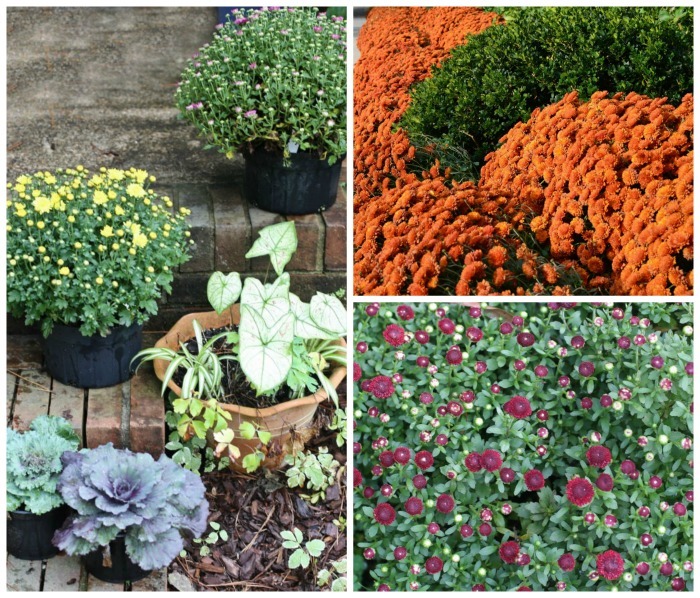 Garden mums come on lots of fall colors and are hardy in zones 4-10. Most of the time, mums are considered tender perennials. Even though their hardiness will go down to zone 4, whether they come back the next year depends on when and where they are planted. The longer you give hardy mums roots system a chance to grow, the more likely you will have them return next year. I keep some planted in the ground as perennials. Others are used in pots on my entry and I treat those as annuals. It’s well into October and mine are just starting to flower. Another very late blooming perennial for me is abelia. 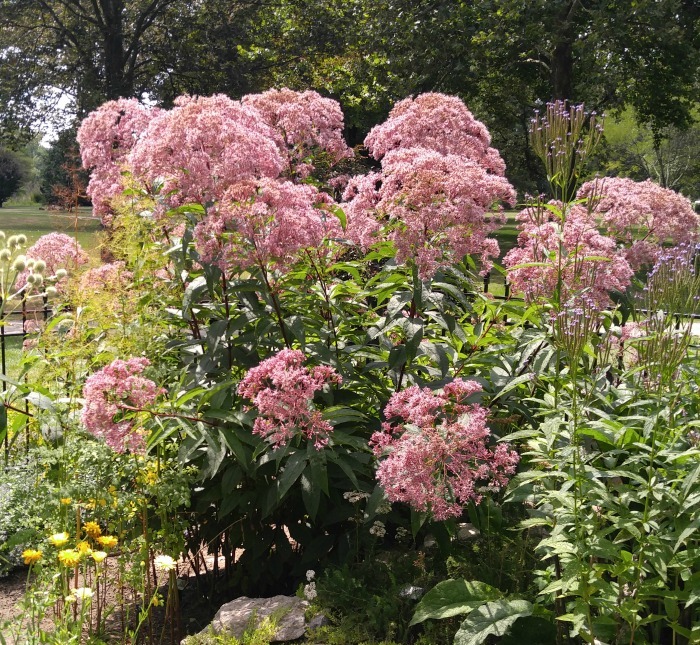 This plant has a draped growth habit with flowers that resemble lilacs and butterfly bush flowers. 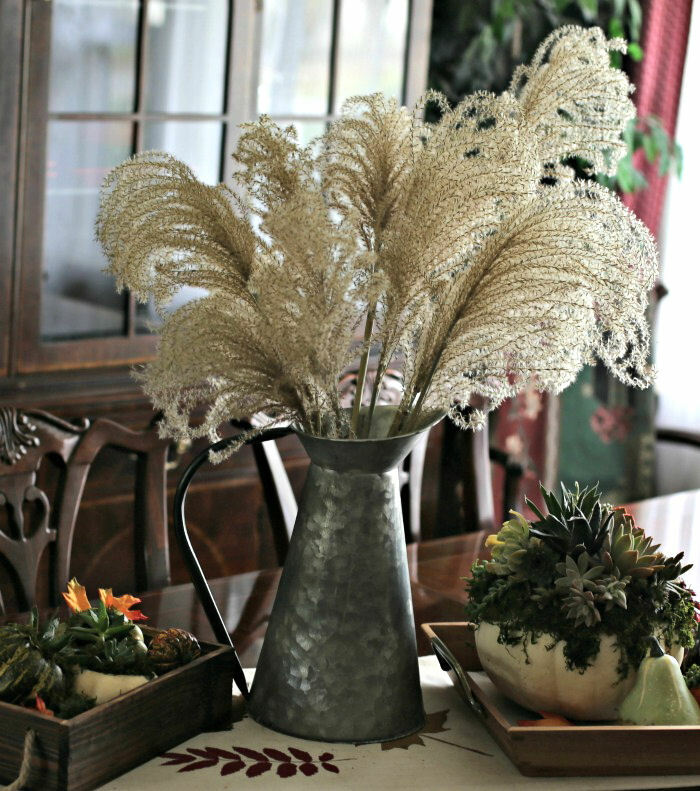 The pinkish brown blooms of my plant make great cut flowers for floral arrangements and are very easy to dry using borax. 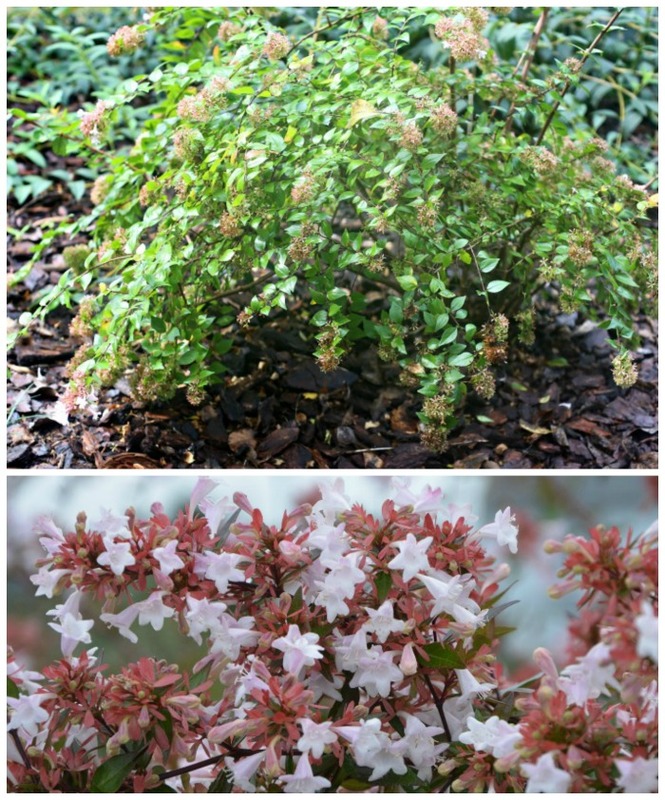 Abelia is also known as “mountain asparagus” or “spikenard” and is thorn-less. The plant will grow 3- 6 feet tall and wide in a single season. Hardy in zones 6-9. 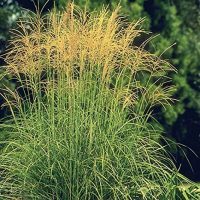 While not considered a flowering plant per se, most ornamental grasses send out feathery light colored plums in the fall that have enormous interest because of their texture. 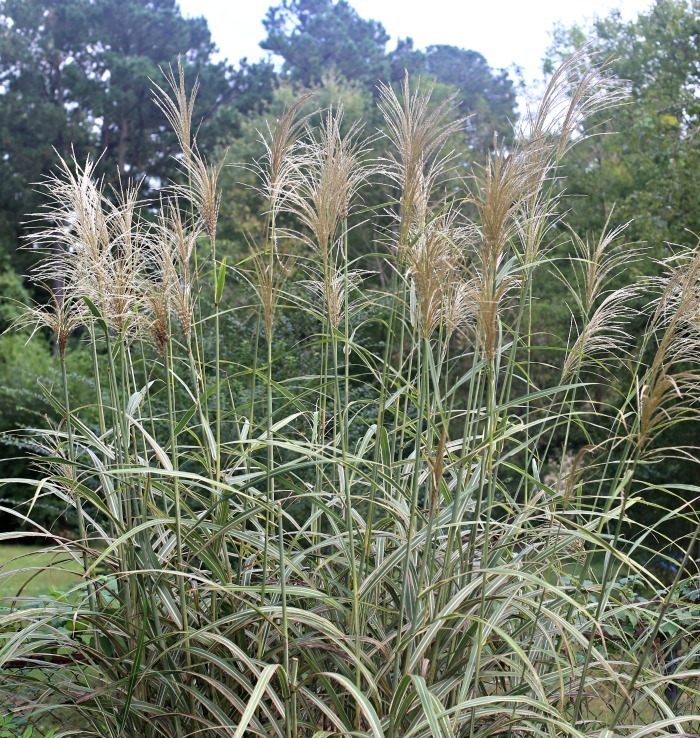 I have a row of Japanese variegated silver grass along one side of my yard and the show from them is magnificent. The fronds are at least 8 feet tall and cover my fence line beautifully. The hardiness zones vary depending on the variety, but most are hardy in zones 4-10. This stunning perennial is anything but a weed to me. It is hardy in zones 4-9 and flowers from late summer well into fall. The butterflies love this perennial! Perennials don’t get much tougher than this sturdy plant. It is a big plant – often getting to 6 feet tall in size, so it needs lots of room to grow. If you love the look of daisies, you will enjoy growing asters. These daisy like perennials have a star shaped flower head in bright colors in late summer and autumn when most of your summer blooms are fading. 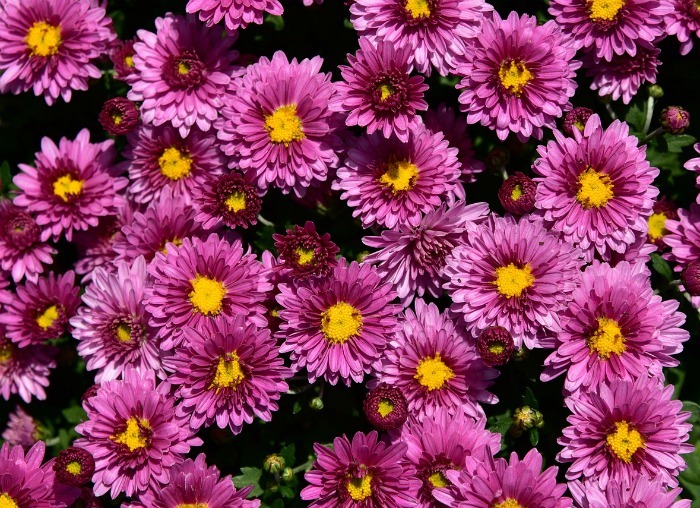 Aster Plants grow to a height of 2 feet tall and are hardy in zones 4-8. This rabbit and deer resistant perennial is hardy in zone 4-8 and will grow to 48 inches tall. 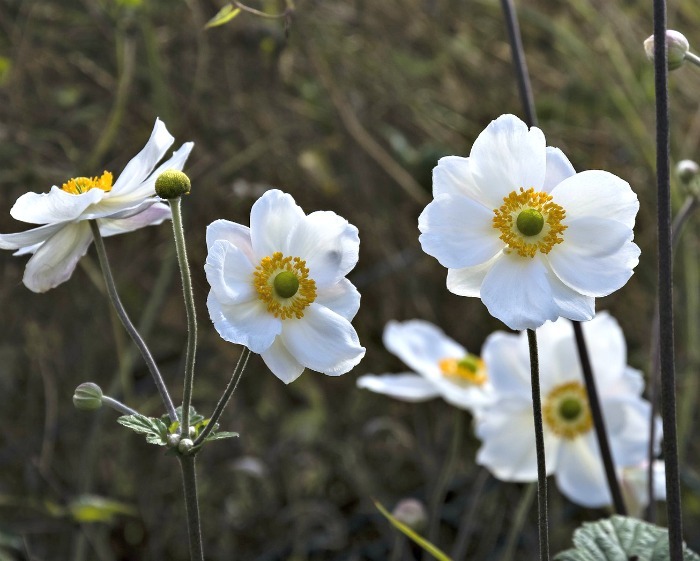 This fall blooming plant is different from the anemone bulbs that bloom in spring. It is much large and adds lots of color to a late summer and early fall cottage flower garden. Do you often forget to water plants? No problem at all with drought tolerant sedum varieties. These fleshy leaved plants love the sun and produce umbrels of pink and red flowers through the late summer and fall. The plant is hardy in zones 3-9 and will grow to about 30 inches tall. Plant this perennial in full sun. Sedum Autumn Joy is a favorite of mine and it roots very easily from cuttings. 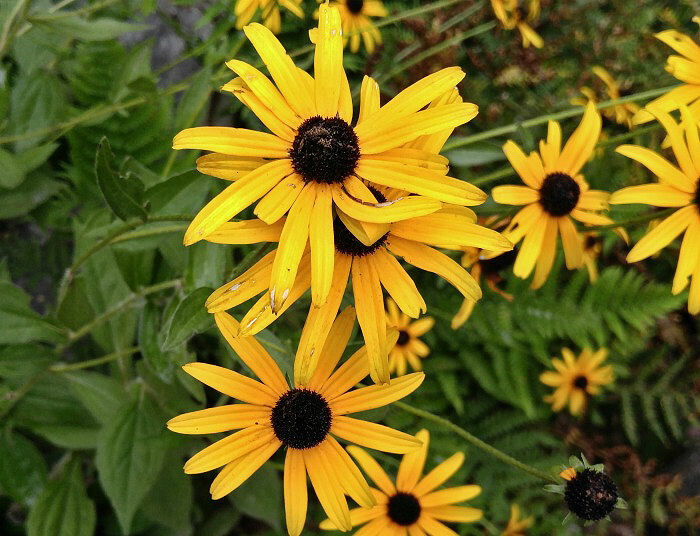 Many gardeners think of Black Eyed Susan as a summer perennial but Rudbeckia flowers right though the fall. It gets to about 2 feet tall and is hardy in zones 4-9. 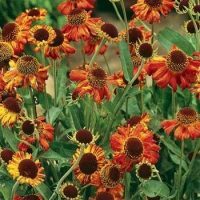 The brightly colored yellow and brown flowers are long lasting, make great cut flowers and keep the garden in color right into the late season. An added plus is that the plant is also deer resistant and doesn’t need deadheading. 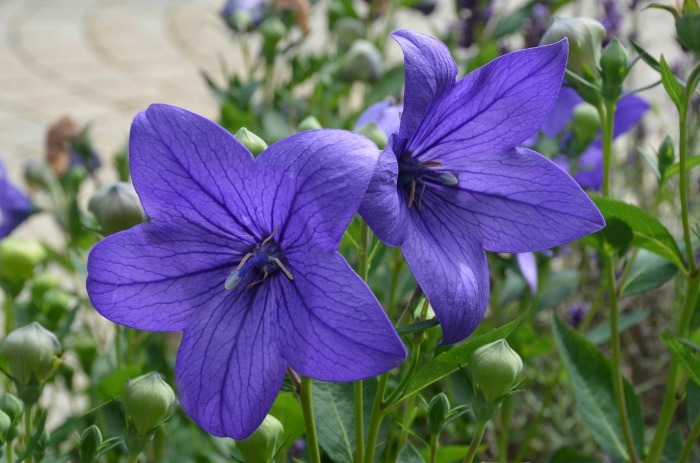 Platycodon grandiflorus, or balloon flower is also known as Chinese Bell flower. This whimsical looking perennial is hardy in zones 4-9. Balloon flowers come in pretty white pink and blue flowers and give a welcome burst of color in the early fall garden. It makes a wonderful cut flower and is deer resistant. The common name for this perennial from the sunflower family is “sneezeweed.” It doesn’t actually make you sneeze but does bloom around the same time as ragweed – late summer. 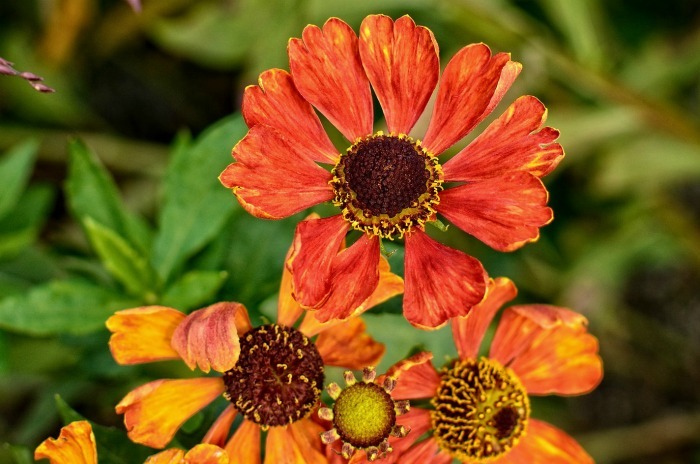 The velvety, flame colored blossoms add a burst or autumn color to a late summer/early fall garden. Hardy in zones 3-8, it will attract pollinators but deer usually leave it alone. 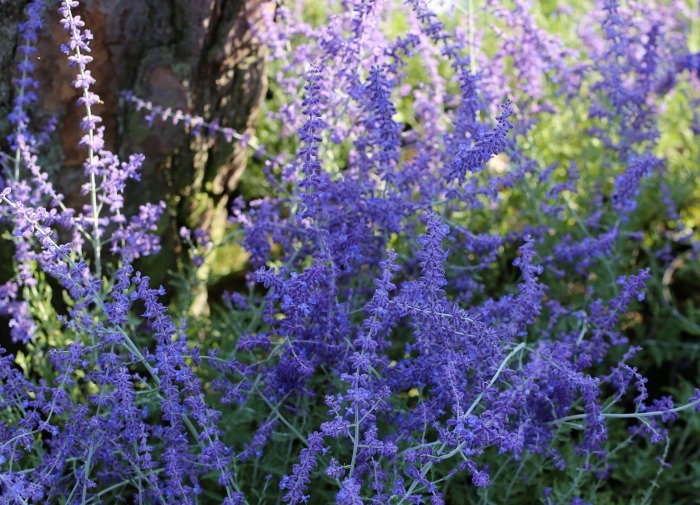 The purple flowers of Russian sage (Perovskia) bring a blast of color to any fall garden. These plants are both rabbit and deer resistant. They are hardy in zone 5-9 and can grow to 5 feet tall. This plant is a warm loving perennial that flowers in the spring, but that is not where the fall interest comes from. If you are lucky enough to get your plant to set berries, it will brighten up any fall garden! The common name for Nandina is Heavenly bamboo. The plant is cold hardy in zones 6-9 but keeps its leaves during the winter as well. Most modern roses sold now will bloom throughout the year as long as there is no frost. 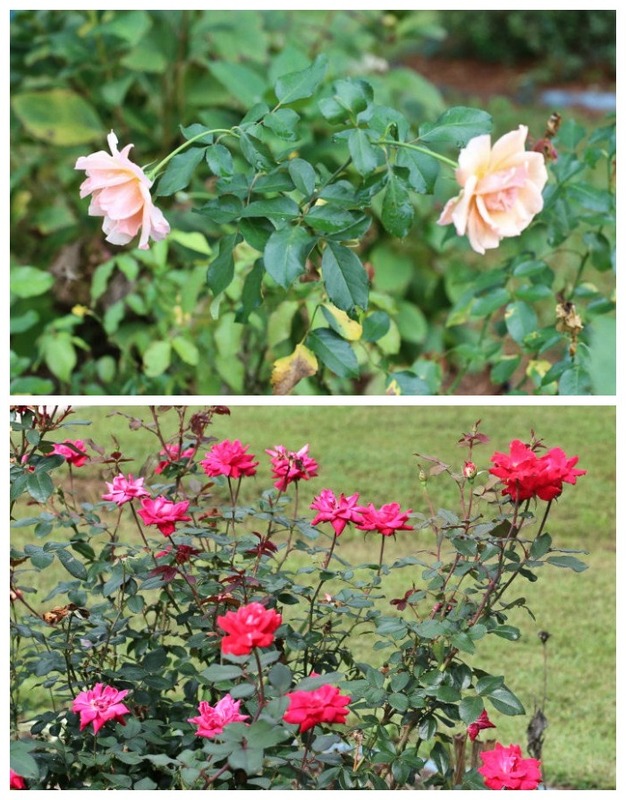 It is mid October here and I have two different rose bushes in full bloom. Deadheading roses is a must to get a long lasting show of color. 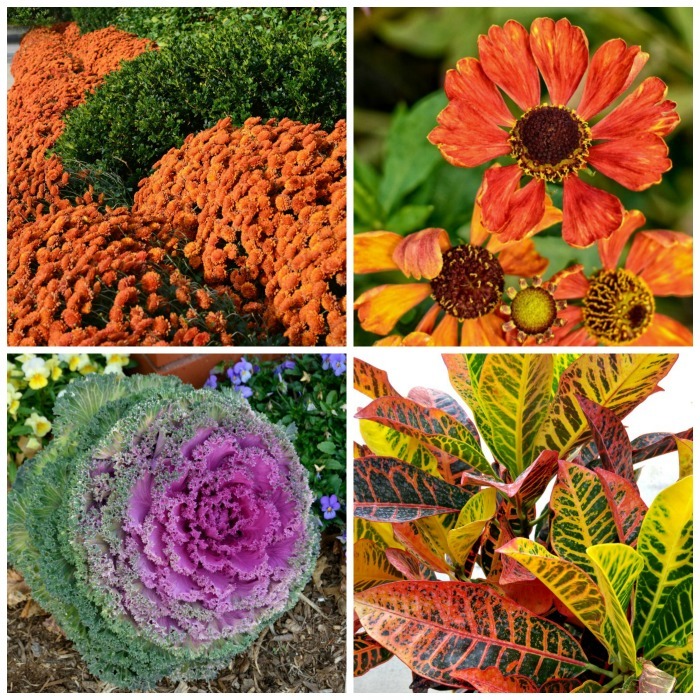 When choosing fall annuals, start by looking for bold colors and textures, as well as the plant’s ability to perform well in colder temperatures. 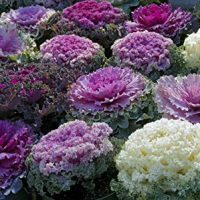 Most annuals do best in the long, hot days of summer, but there are a few that really come into their own in the cooler days of autumn. This tall annual looks best in the cool weather of both early spring and fall and even throughout the winter in mild hardiness zones. 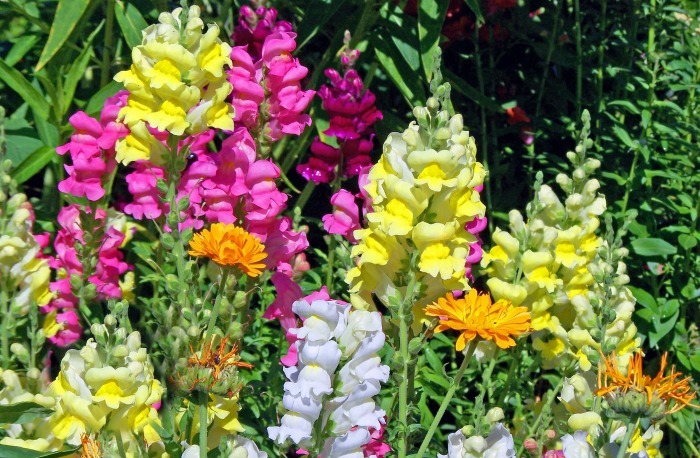 Snapdragons are a staple cottage garden plant. Frequent deadheading will keep the flowers from going to seed and prolong the bloom season. Common snapdragons will bloom right up to the time of the first frost. 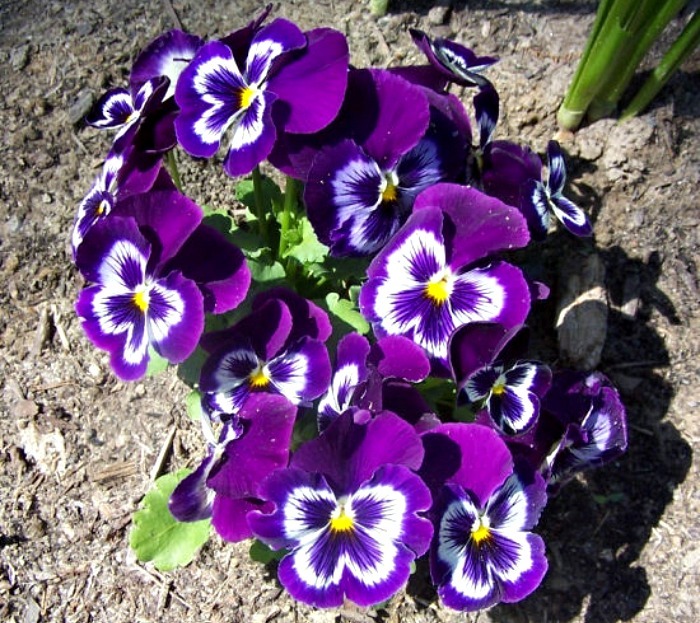 Pansies will even bloom right through the winter if you live in a warmer climate. It is easy to see why they are so popular. 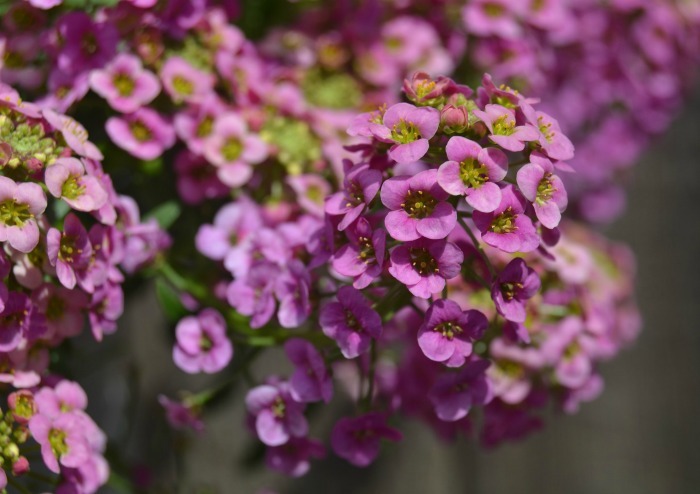 This pretty hardy annual (can be a perennials in some zones) is also called pinks. Dianthus have a spicy fragrance and come in all sorts of colors. Most modern varieties of Dianthus will bloom from May until October. See how to grow dianthus here. 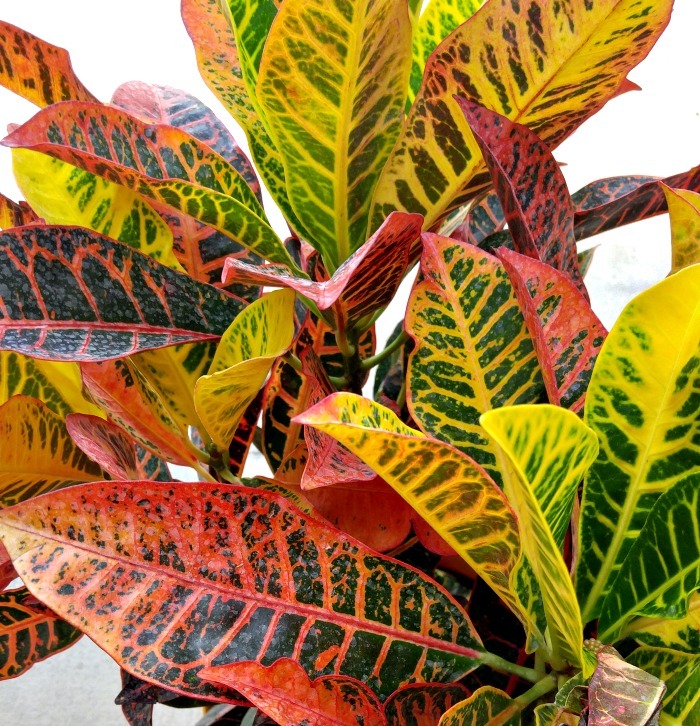 If you love the look of fall leaves, growing a pot or two of crotons will bring that color to your yard in spades. 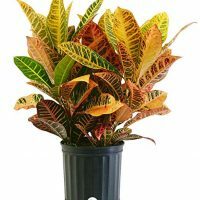 Crotons are only cold hardy in zones 9-11 but can be grown as an annual giving pops of color until frost hits in colder locales. My local grocery store is offering pots of ornamental peppers for sale right now. Normally, peppers are a warm weather loving crop and the same goes for the ornamental type. But the warm fall colors of these vegetables will still add color to your landscape this fall. Just bring them indoors before the frost hits. This gorgeous but inedible annual is one of the toughest plants that you can feature in a fall garden. It will hold up to frosty temperatures and may even look good all winter long if you have a mild winter. 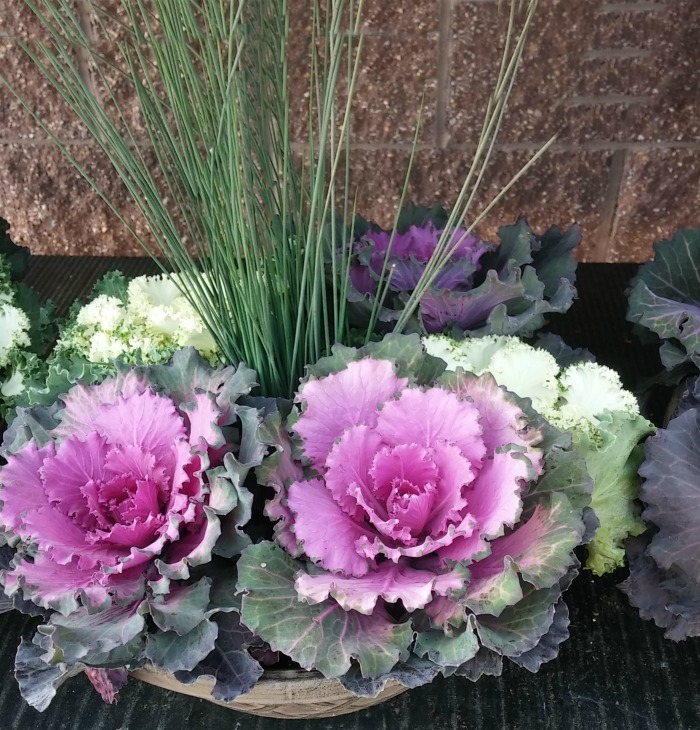 Flowering kale offers a dramatic contrast of colors that looks fabulous with any fall planted flowers. This cold hardy plant is another member of the brassica family that is grown for looks and not for taste. 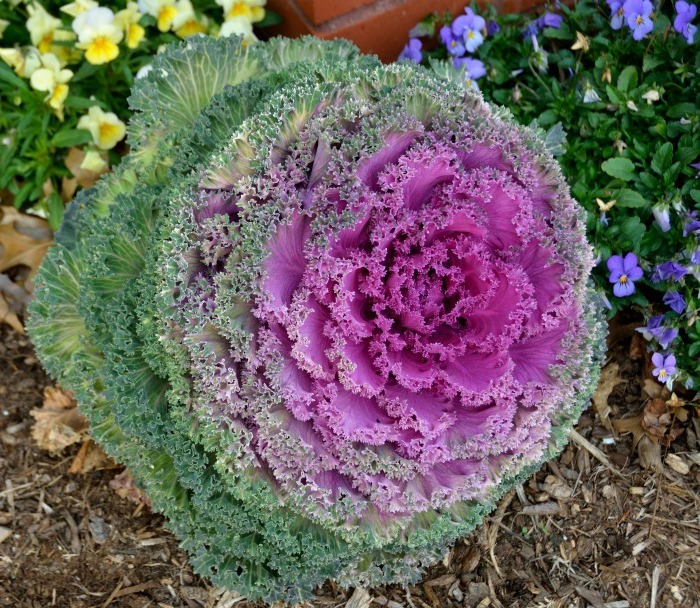 The pretty rosette look of ornamental cabbage makes it a great addition to any fall garden. It is a cool season plant that grows under the same conditions as flowering kale. This dainty annual creeps along the side of walkways, giving a blanket of color. 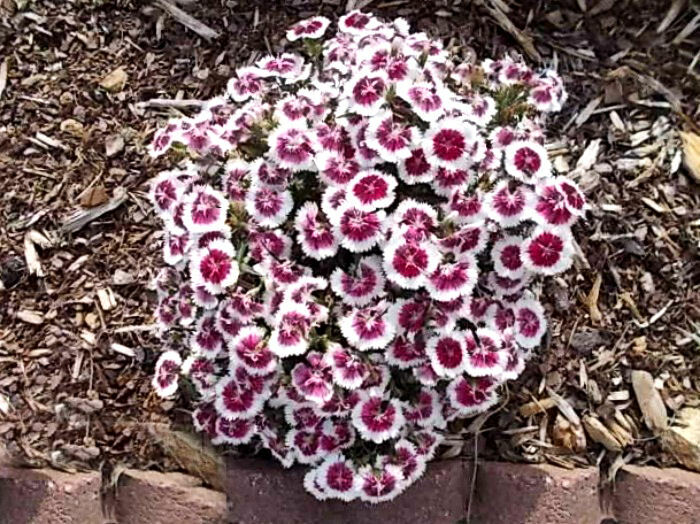 Sweet alyssum (lobularia maritima) can tolerate the cool weather well, and will bloom all fall and winter long if you have a mild winter. 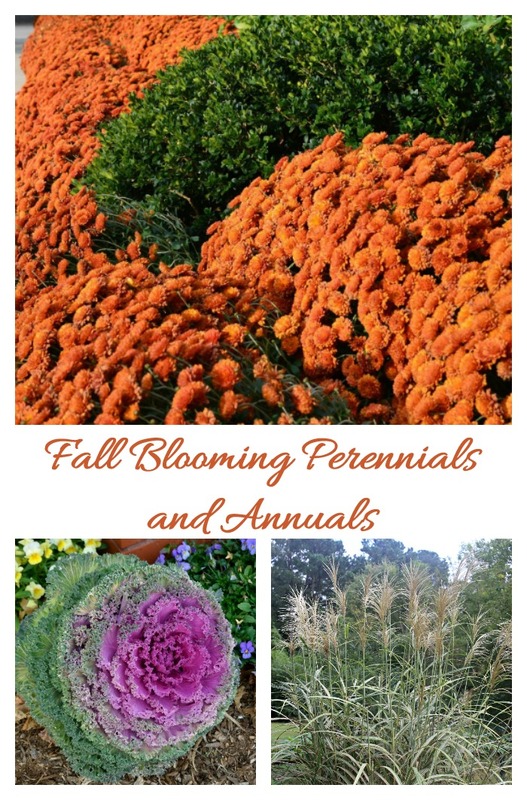 Would you like a reminder of this post for fall blooming perennials and annuals? Just pin this image to one of your gardening boards on Pinterest. And for a reminder to take with you when you go shopping for fall flowers, just print out this handy care instructions card to help you make good choices for your hardiness zone. Now it’s your turn! 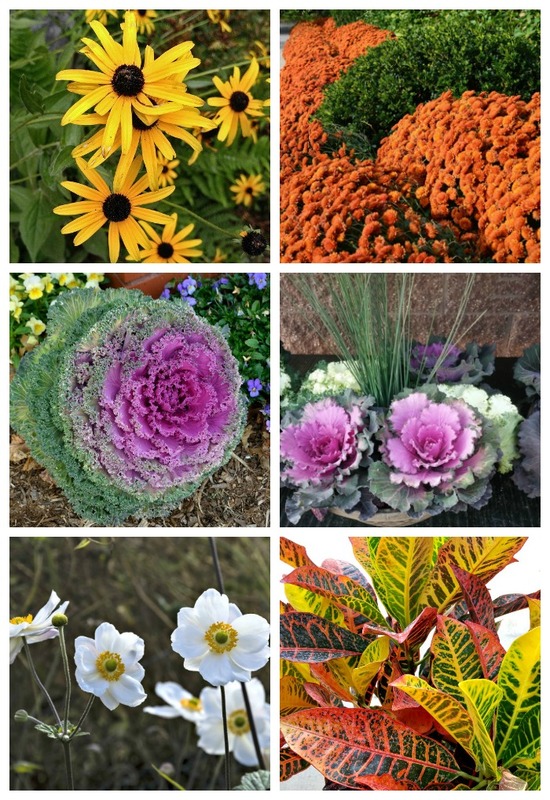 What is your favorite fall flower? I’d love to hear about it in the comments below. These perennials and annuals will grow on most hardiness zones and will give fall color when the summer flowers are fading. Print out this list of Perennials and Annuals to take with you when you go plant shopping in fall. 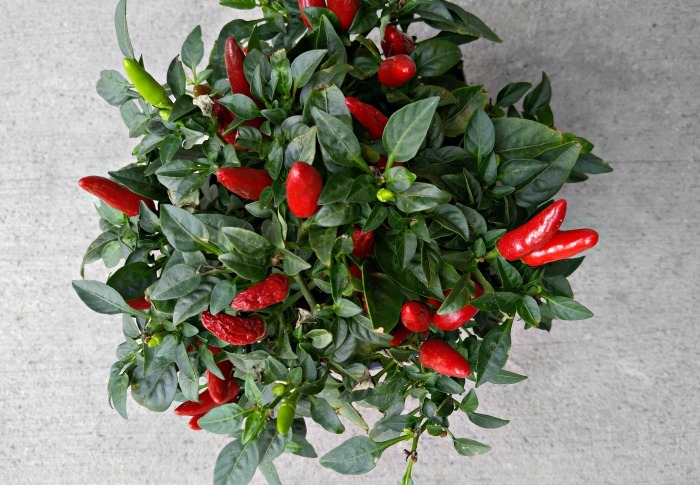 Ornamental peppers - Bring indoors when frost hits or they will die. Plant the perennials in the ground and mulch well over winter. Most will come back next year. Use the annuals as patio plants to add color to your front porch or patio after summer flowers have faded. Take cuttings and bring indoors to propagate as house plants for winter. All of these plants will flower in late summer and early fall. For the best fall look, choose colors and textures that mimic the look of fall that nature gives us when the temperatures get colder. Red, yellow and orange colors with bushy textures look great. Plant some in your garden and use others in pots on your entry and porch or patio.